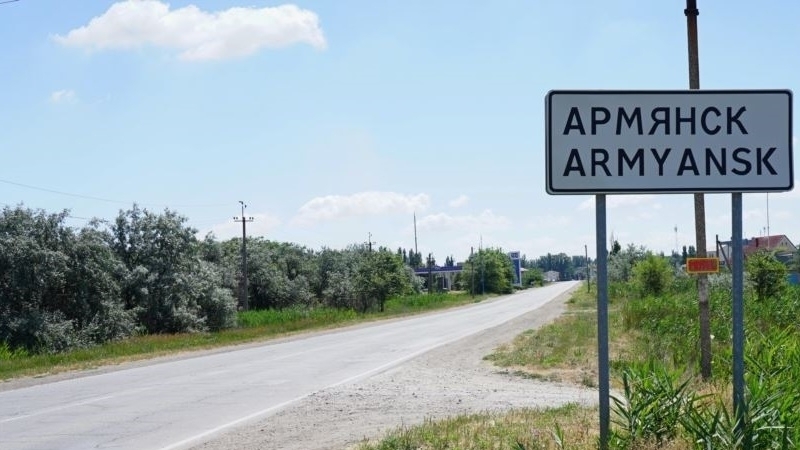 The occupiers evacuated 2,887 people from Armyansk to health camps and sanatorums of other areas of the annexed Crimea, the press service of the Kremlin-controlled Ministry of Education, Science and Youth of the Crimea reported. “Over the past day, Ministry of Education, Science and Youth took 2879 people from Armyansk to the health camps and sanatoriums of the Crimea. The operational headquarters under the leadership of Minister Natalia Goncharova, formed on September 4, organized work on transportation and placement of children of preschool age from 3 years old and first-graders with their parents, as well as pupils of grades 2-11 in sanatoriums and camps of Yevpatoria, Bakhchysarayski and Saky districts,” the message says. Children from the occupied Armyansk region were sent to the camps "Fortuna", "Sokol", "Yuzhny", "Druzhba", "Delfin", "Mechta". The "department" noted that the evacuation of the inhabitants of the city continues today, September 5, as well. The occupation authorities plan to send 1117 more people to the camps of the peninsula. It became known, that acid emissions in the occupied Crimea occurred because an acid lake near the Crimean Titan plant evaporates due to lack of fresh water. This occurs because the lake was not diluted after the overlapping of the North-Crimean canal. Several border guards serving on the border between the occupied Crimea and mainland Ukraine have complained about their health, according to the Assistant of the Head of the State Border Guard Service of Ukraine Oleh Slobodian. He noted that the deterioration of the health of border guards is associated with chemical emissions of the Crimean Titan plant in the occupied Crimea. Slobodian went on saying that cases of health deterioration were recorded among the border guards at the checkpoints Chaplinka and Kalanchak. In this connection, the routes of movement of border units and the time of service are changed, and women's detachments are not set for service. On August 27, residents of the occupied Armenian region complained about an ecological disaster and stated that on all metal objects in the city went rusty in a day, and people began feeling allergic. September 4, the head of the puppet government of the occupied Crimea Sergey Aksyonov officially stated that the situation does not threaten life and health and that the situation is not an emergency, though announced holidays in schools and kindergartens, and ruled to suspend the work of Crimean titan plant. Local residents are quite resented with the situation, as can be seen from the comments to this official statement. Crimeans note that the situation has been concerning back in the beginning of August but nobody reacted. People also doubt the safety, seeing the consequences of the chemical pollution.